What is 9-1-1 and Enhanced 9-1-1? Nine-one-one is the number most people in the U.S. and some in International countries call to get help in a police, fire or medical emergency. A 9-1-1 call goes over dedicated phone lines to the 9-1-1 answering point closest to the caller, and trained personnel then send the emergency help needed. Enhanced 9-1-1, or E9-1-1, is a system which routes an emergency call to the 9-1-1 center closest to the caller, AND automatically displays the caller’s name (as it appears on their phone bill) phone number, address, map with the location of the call and the departments who cover that location. Cellular/wireless calls provide the callers location with up to 10m accuracy. The 9-1-1 call taker can refresh the cellular/wireless current location through out the duration of the call. This is helpful for when a caller is on the move in a car. The 9-1-1 call taker will typically ask the caller to verify the information, which appears on his or her computer screen. 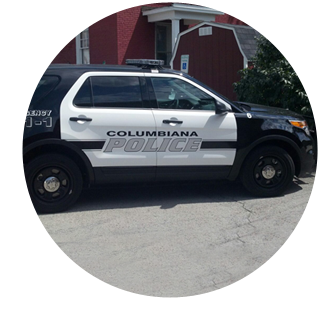 At this time the City of Columbiana has E9-1-1 for all land line and cellular/wireless calls. 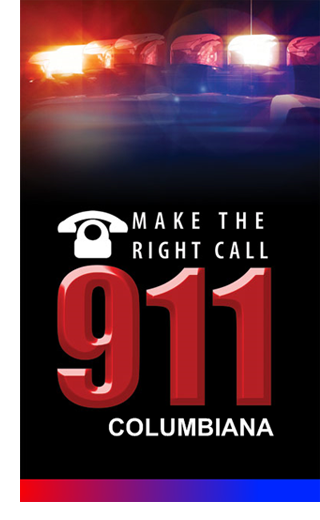 Please note if you use a VoIP phone service such as Vonage™ or Comcast Digital Voice®, your 9-1-1 call will go through their 9-1-1 dispatch center and then be passed onto the Columbiana County 9-1-1 system. We are not always provided with the information that E9-1-1 provides to us. Please make sure if you have one of these services that you tell the call taker your location when you call in! For more information on 9-1-1 and Internet Phones, see below. Facts – When should you call 9-1-1? Nine-one-one is only to be used ONLY in emergency situations. An emergency is any situation that requires immediate assistance from the police/sheriff, the fire department or an ambulance. If you are ever in doubt of whether a situation is an emergency, you should call 9-1-1. It’s better to be safe and let the 9-1-1 call taker determine if you need emergency assistance. It’s a prank call when someone calls 9-1-1 for a joke, or calls 9-1-1 and hangs up. If 9-1-1 lines or call takers are busy with prank calls, someone with a real emergency may not be able to get the help they need. It is against the law to make prank 9-1-1 calls. Voice over Internet Protocol (VoIP) also called Internet, digital, broadband or cable phone service is a rapidly growing alternative to traditional phone service. Its popularity is fueled primarily by low prices, new features and the consumer’s ability to choose a phone number from nearly anywhere in the country (and sometimes, other countries). Many industry experts anticipate VoIP’s growth will outpace the growth seen by the wireless industry in the last decade. VoIP may look and appear to work like a traditional phone, but it connects to the internet not a telephone line. There are several critical factors to consider regarding the impact of this service on your ability to call 9-1-1 in an emergency. While VoIP is an attractive option, it is important for consumers to research and understand the potential limitations the technology has with respect to accessing 9-1-1. The following is a brief recount of the events surrounding the placing of the nation’s first 9-1-1 call. Before Alexander Graham Bell invented the telephone, (June 2, 1875) public safety was served by town criers. A town crier would walk the streets of a town and cry out for help in emergency situations. In the 1950′s, independent telephone companies were very common in the United States. If you wanted the police, you dialed the police station. If you had a fire, you called the fire department. If you needed any emergency help, you dialed the individual you needed, or you could dial ” 0″ and get the operator. Then he or she would ring the persons you were calling for. In 1958, Congress called for a universal emergency number. At this time, the President’s Commission of Law Enforcement and the F.C.C. started arguing over a single easy to remember number. This was due to the large volume of emergency calls going to telephone company operators. A person may be calling for emergency help while the operator was giving information on the number of Aunt Betsy in Louisiana or Uncle Charles in Oklahoma, which lead to delays in emergency responses. Telephone companies were facing the problem of how to separate emergencies from general business. For over ten years the idea was discussed and argued about among the different agencies who wanted to receive the calls. Police said they should answer all calls, the Fire Department felt they were the better choice, some even felt the local hospital was the best answer. Haleyville, Alabama introduced the nation’s first 9-1-1 system which was located at the police station. Alabama Speaker of the House, Rankin Fite, made the first call from another city hall room. It was answered by Congressman Tom Bevill on a bright red telephone located in the police department. Also on hand was Haleyville Mayor James Whitt, Public Service Commission President Eugene (Bull) Connor, and B. W. Gallagher. So on February 16, 1968, the first 9-1-1 call was made.